1 oz. 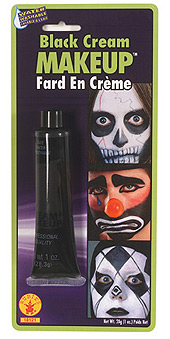 tube of black cream makeup. Washes up with water.